We had our closest ever vote tonight. Bath Township Farmers Market won by a single vote! Congratulations to Christian and the Bath Township Farmers Market on taking home $65 to help promote the farmers market in the GL Community! We’re looking forward to hearing more from you in the coming months. 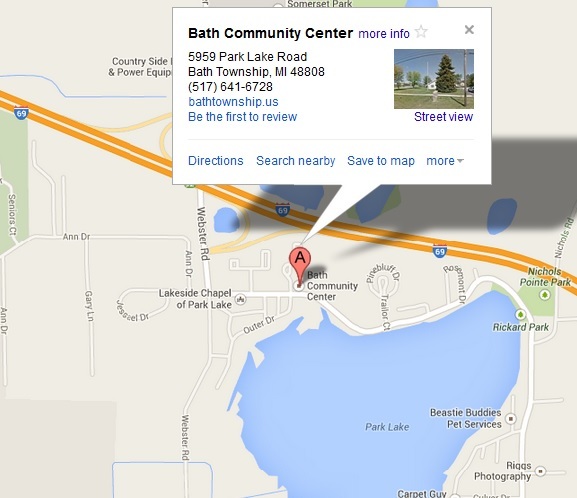 Never been to Bath Township Farmers Market? It’s just off Webster Road at the Bath Township Community Center near I-69 during the winter months. Their winter hours are every Thursday from 3 – 6. Go check them out! We’re also very happy to let you know that, even though Rothman and Joel’s idea for a homeless backpack kit didn’t win, everyone was very enthusiastic about it at tonight’s SoupGrant and Rothman and Joel decided to go forward with the idea. Rather than using the grant money to purchase supplies, they will be putting the kits together off of donations! Cinda, one of tonight’s attendees, already pledged plenty of granola bars. Check out the video for more info about the project. Whatever you can spare, bring it to next month’s SoupGrant on Feb. 20! Finally, a huge thank you to everyone who made it out tonight. Thank you for braving the snow and, more importantly, thank you for your tremendous enthusiasm and support. The greatest thing about SoupGrant is bringing folks together who all love Lansing and all care about our community. Can’t wait to see everyone next month!